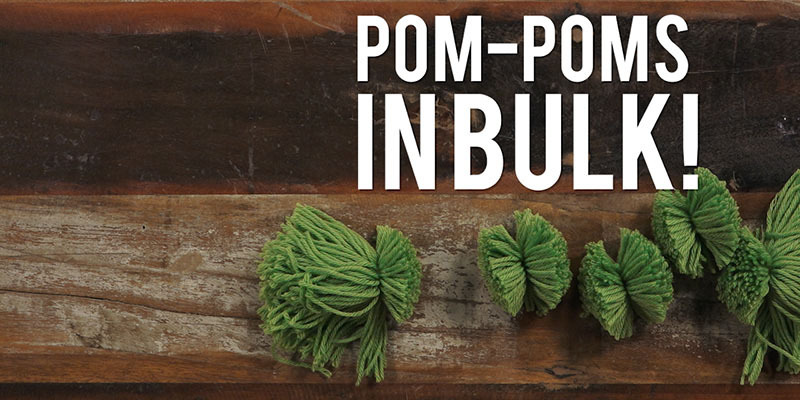 Yarn Hack Video: Pom-Pom Palooza! While you consider our latest Yarn Hack, consider the possibilities of make-and-give with our Hi-Fi Hat Kit. Not only does this kit have yarn and a pom-pom to make a fabulous hat for a friend, it includes a print copy of Crochetscene 2017 which you can keep for yourself! 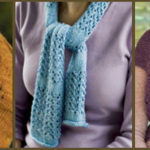 If that sounds a bit selfish, it’s really not, because the magazine has lots of patterns for quick and easy projects you can make as gifts for more friends and family members. This kit helps you give and give and give. Oh, and did I fail to mention that the yarn in this kit is a really nice super bulky Peruvian Wool? It’s Cascade Yarns Magnum in Black. A yarn this bulky means you can whip up a hat in an hour or two. And who doesn’t need a quick last minute gift? 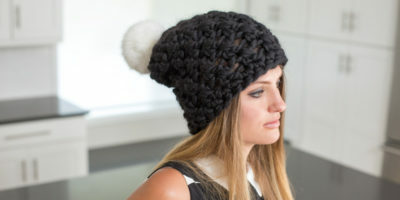 To top it off, the kit includes an uber soft Bernat Faux Fur pom-pom in White Rabbit. It’s luxurious. We won’t judge if you’re not into the style of the faux fur pom-pom. Just use this hack to make several of your own! Get this product today in our shop!